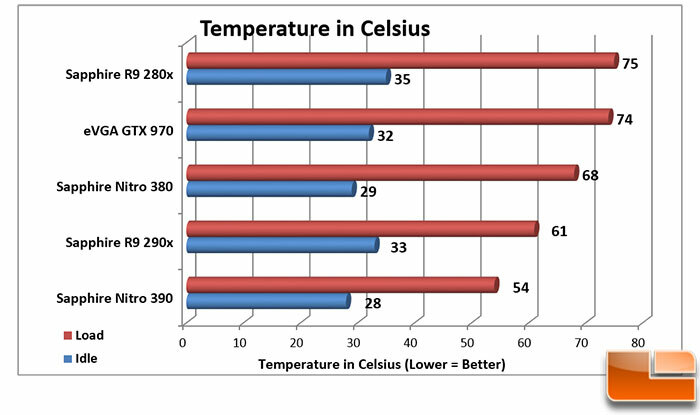 Temperature wise we saw a good decrease when compared to the previous generation, while gaming the Nitro 380 was 7C cooler than the 280x, which was the same difference between the 290x and the Nitro 390. Both cards were cooler than the GTX 970 by 6C (Nitro 380) and 20C (Nitro 390). If temperature is important, the Nitro 390 is definitely the clear choice. Of course that comes with a price, which we will take a look at now. To test the noise level, we used an Extech sound level meter that has a +/- 1.5dB accuracy. Using the “Low” measurement, it can measure noise between 35dB and 90dB. The sound meter was placed 6 inches from the side panel (which has been removed for this testing), and a wind cover on the sensor. 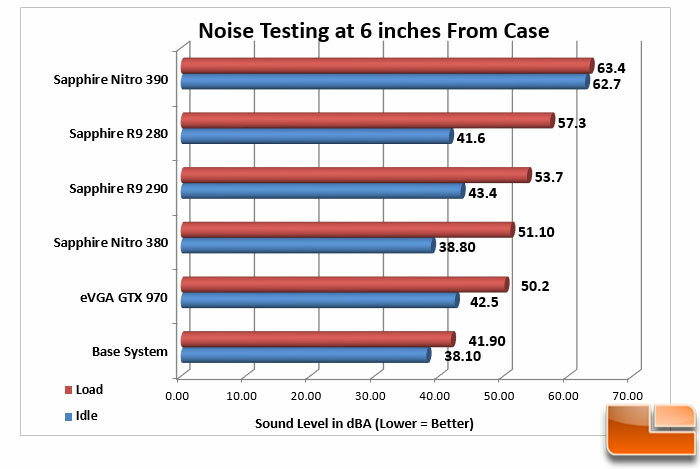 With a base system sound level of 38.1 the sound level of Sapphire Nitro cards were evaluated at their default fan speeds. We did not adjust the fan speeds manually. To be honest, when I first plugged in the Nitro 390, I thought something was wrong with the card or its fan was running at 100%. 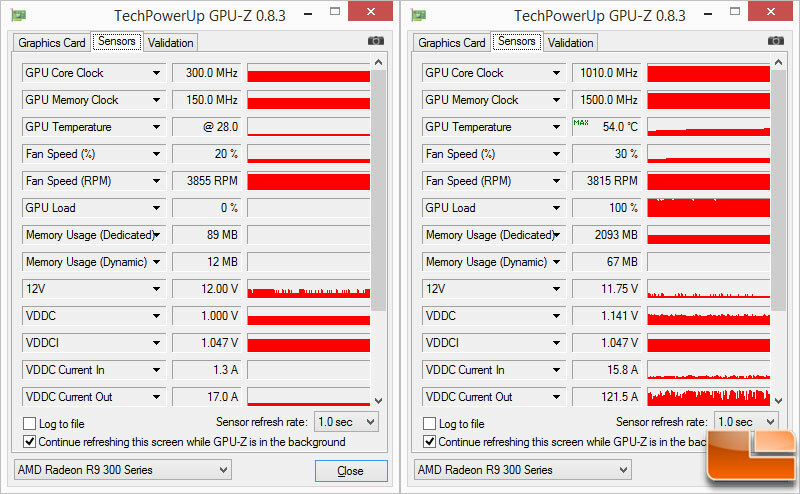 However, it was at 20%, I tested the noise level at 100% and it went up around 3dBA, which was surprising. 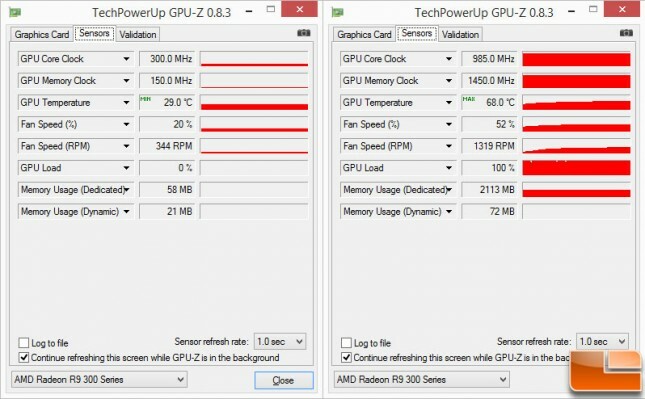 The fans on the Sapphire Nitro 390 makes for a very loud GPU, but it is certainly cooler than any of the other cards tested. 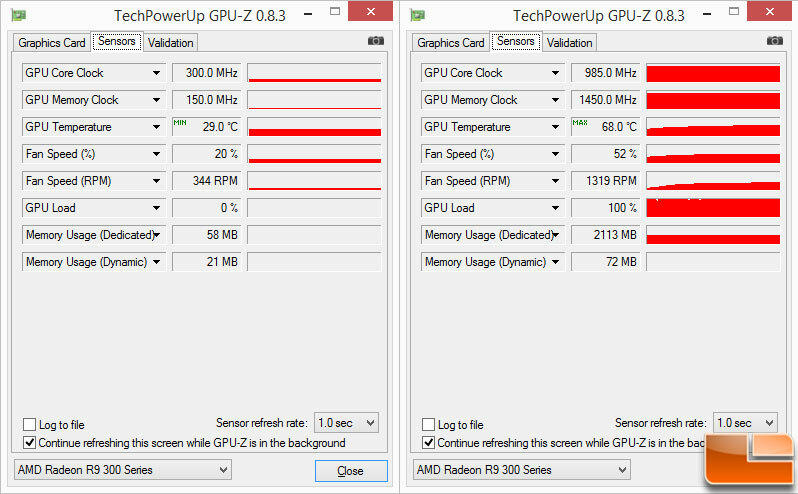 Something tells me the Intelligent Fan Control isn’t working properly on the Nitro 390, yet.